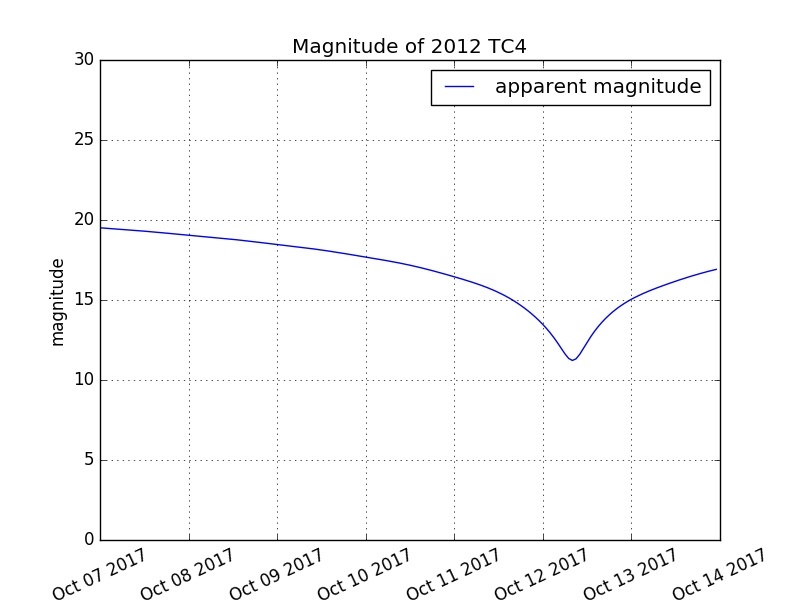 Astronomers working at ESA and the European Southern Observatory (ESO) have observed asteroid 2012 TC4, a small asteroid that will make an unusually close flyby of Earth on 12 October. On several nights in July and August, Olivier Hainaut, from ESO, and Detlef Koschny and Marco Micheli, from ESA’s Near Earth Object Coord Centre (NEOCC) at ESRIN, near Rome, used one of the European Southern Observatory’s 8.2-meter telescopes at its Very Large Telescope Observatory, in Chile, to spot the piece of space rock. 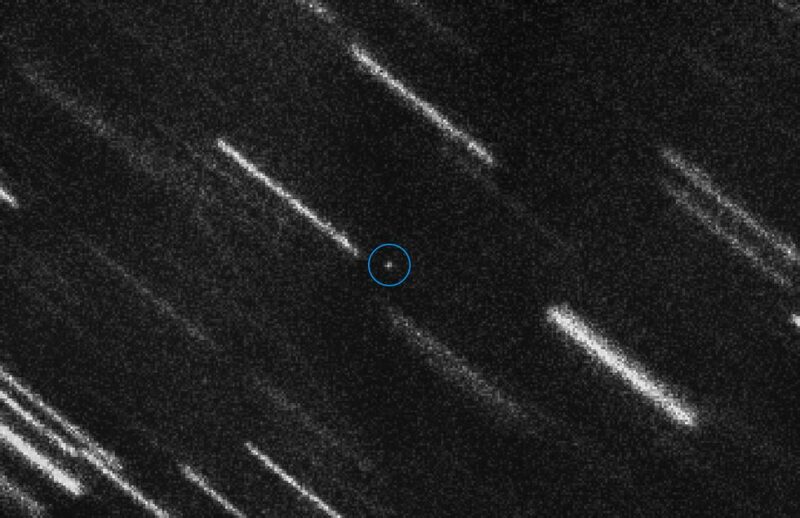 These were the first observations of the small asteroid since shortly after its discovery in 2012. The flyby on Thursday will take place at about 07:41 CEST, at a distance of 43 780 km – about 1/8 of the average distance to our Moon! Additional observations of the asteroid are planned by NASA-funded and other astronomers, including those in the International Asteroid Warning Network, as part of an exercise of the recovery, characterization and reporting of a potentially hazardous object approaching Earth. ESA supports the international asteroid effort through its NEOCC and through its leadership of the Space Mission Planning and Advisory Group (SMPAG), under Action Team 14, a technical forum with a mandate from the UN Committee on the Peaceful Uses of Outer Space (UNCOPUOS) to develop a strategy on how to react on a possible asteroid impact threat.